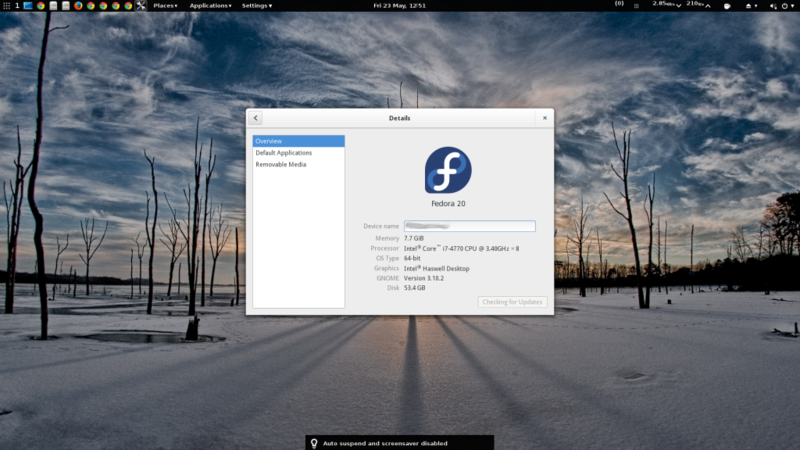 The essential things to do after installing the Fedora 20 (Heisenbug) (Latest when this article was written), to make it more productive. This todo works for almost all fedora versions. This section is compulsory for every fedora installation. First fore-most thing to do after installation is to update the fedora linux, to get updates from the time of creation is ISO image to till-date. RPM fusion repositories contains free, non-opensource, copyrighted packages. Yum fastest mirror plugin will make the yum to search fastest mirror for your location before it downloads. Install Adobe flash plugin for Fedora. and it’s dependencies. Download the latest stable Google Chrome browser from google servers and install it. Alternatively you can download the Chromw browser from Google and use “yum install “. Fedora ships with SELinux to enforce permissions, It can be changed to permissive mode or disabled by modifying /etc/selinux/config file. 7-zip and unRAR applications to compress and uncompress the archives. For connecting to FTP, SFTP servers, Filezilla Client is one of the best FTP client. This section deals with recommended to-do list which are useful. Then install the skype itself. A flexible handy dropdown terminal. Fedy (formerly Fedora Utils). Fedy is comprehensive utility tools helps to install additional software Fedora don’t ship. In addition, this utility also includes additional tweaks and configurations. This software is designed for new users and provide a simple GUI to install software at one click. Presently, this package is hosted on github and its not in any repository. Once the installation is complete, you can search for this package using “Fedy”.